Middle-earth: Shadow of War has finally been scrubbed of microtransactions. 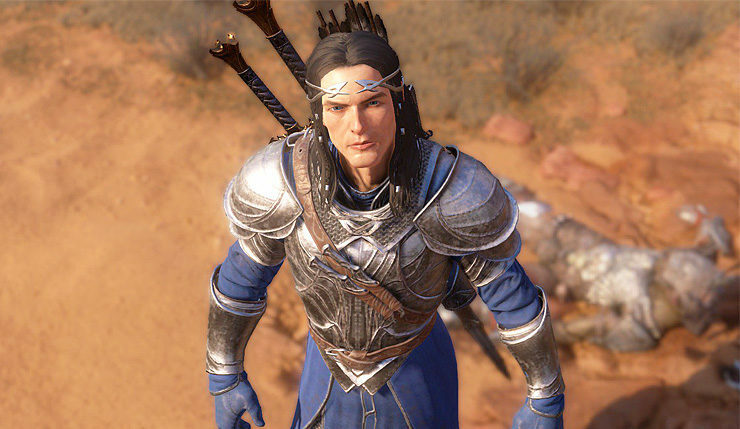 Developer Monolith Productions promised to dump them back in April and stopped selling Gold (their premium currency) in May, but now Shadow of War’s Market and in-game purchases have been completely eliminated. The Shadow Wars endgame content has also been revamped to make it less grindy and more rewarding. The Market is removed from Shadow of War, replaced with an updated Garrison menu that allows access to your Garrison Orcs, Chests, Training Orders and Boosts. The Spoils of War Rewards and Community Challenge Reward Chests no longer contain Orcs. Instead, they now focus on Training Orders. You can now purchase Training Orders directly with Mirian. Captains recruited during Online Vendettas and Ranked Conquests can now be found in your Garrison when you return to your world. Captains killed during Online Vendettas and Ranked Conquests now drop gear, the same as Captains killed in your world. You still receive a Gear Chest at the end of the mission, in addition to any gear dropped by Orcs. With the removal of the Market, any unspent Gold currency has been converted into Gold Loot Chests. Completing the Shadow Wars now earns you the pieces of gear listed below. Players who have already completed Shadow Wars will receive this gear when they begin playing. Servant’s Blackened Armor: Allied grunt Orcs have a chance to resurrect when they die. This includes allied Undead grunts. Mask of the General: Consume and Drain kills create a Curse explosion. Mask of the Undying: Waters of Lórien and Spectral Dash cost no Focus. Melee and Stealth damage increase for five seconds after use. Mask of the Fell Rider: Graug Call summons an Elemental Graug. Mask of the High King: Raise Dead summons Gondorian Wights. Mask of an Empress: Wraith Execution, Wraith Chain, and Chain of Shadows each deal more damage with each successive Wraith. Additional dialogue from Orcs, Shelob, Dark Talion, and the Witch-king. You can now reach level 80. Continuing to earn XP after reaching level 80 earns you additional skill points. Enemy Orcs can now reach level 85. New Prestige Skills, accessible after Act III, allow you to customize your character build. Each Prestige Skill can be purchased multiple times. You can now spend Mirian to raise the level of a piece of gear to match Talion’s current level. You must complete any upgrade challenges on the gear before you can raise its level. You can now spend perfect gems to re-roll secondary traits on gear. You must complete any upgrade challenges on the gear before you can re-roll. You can now choose to appear as Celebrimbor and Dark Eltariel. The new update also includes a long list of bug fixes, balance changes, and other minor tweaks. You can get the full rundown on all that, right here. Middle-earth: Shadow of War of available on PC, Xbox One, and PS4.